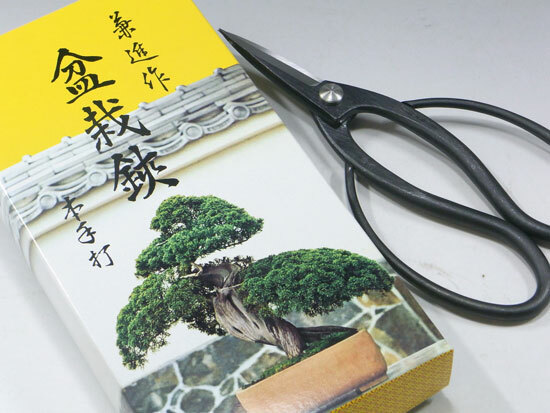 It's suitable to cut leaves , small branch and buds from middle to large bonsai . 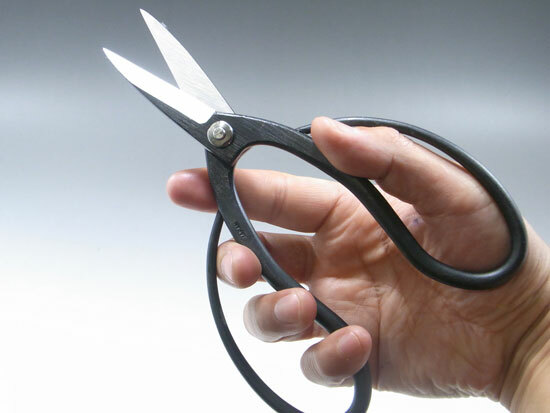 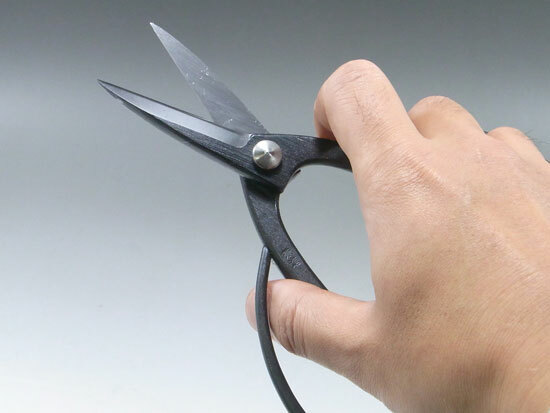 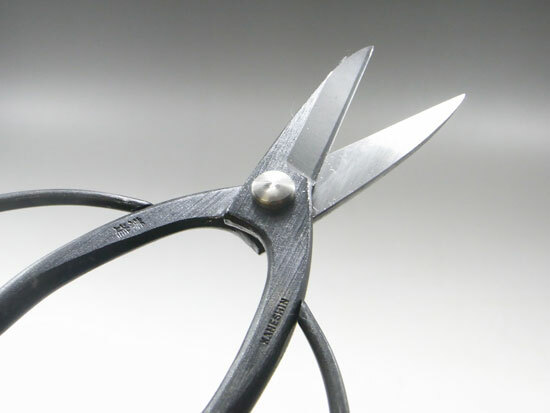 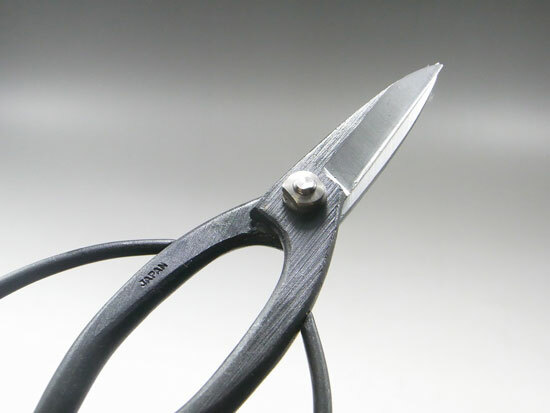 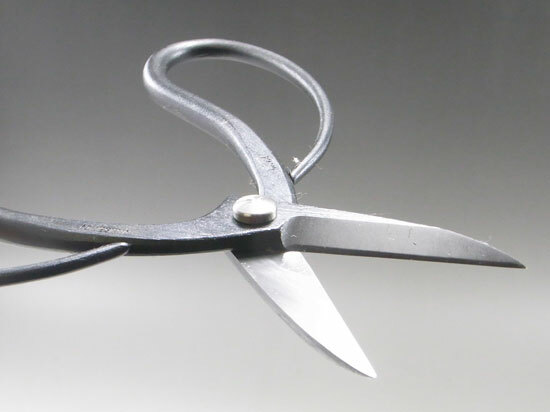 Bonsai scissors are used to cut the fine root. 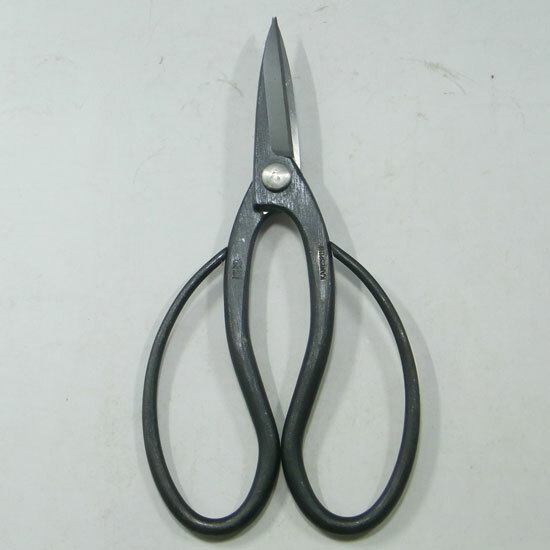 This scissors are made by Iron and steel .